Springboard Work of Art Training: May 18. Springboard’s Work of Art: Business Skills for Artists is a professional development curriculum designed to teach business skills to artists in all disciplines — visual, performing and literary arts. The Northwest Minnesota Arts Council is offering this training right here in our region. Take advantage of this opportunity and register today! Attend as many sessions as you choose. Ten workshop sessions will be offered over three weekends at our office in Warren. Springboard for the Arts well trained staff from Fergus Falls will lead most of the workshops. Learn valuable business skills that will move your artistic business to a new level. Saturday, April 13, 9AM – 3:30PM Funding, Grant writing, & Business Plan Essentials This session was cancelled due to weather. It has been rescheduled for MAY 18. For $30.00 participants can choose to attend as many workshops as you’d like up to all ten workshops. Even if participants can only attend one workshop the cost is still $30.00 because that covers the cost of receiving a $20 workbook plus food. This will be a fun informative class with networking around pizza suppers on Friday nights and soup/sandwich lunch on Saturdays. Food is part of your registration! The more workshops you attend the more value you receive. This workshop series costs over $200 if participants were to attend the sessions in the Twin Cities or other parts of our state. Funding from The McKnight Foundation to the Northwest Minnesota Arts Council is greatly reducing the cost of these workshops! You must register at Eventbrite here or by calling our front desk at 218-745-6733. Contact us with questions at director@nwartscouncil.org or 218-745-9111.
via Springboard for the Arts! Gather Art Registry: Now accepting applications. Visual arts Adjunct Career Consultant Anna Metcalfe is launching a new project with several other Minnesota artists called “Gather Art Registry.” Gather is building an online gallery that will also function as a gift registry for art. Gather is partnering with Springboard for the Arts as they launch this new business, and they are accepting applications for visual artists in all mediums to fill out our online gallery and registry. 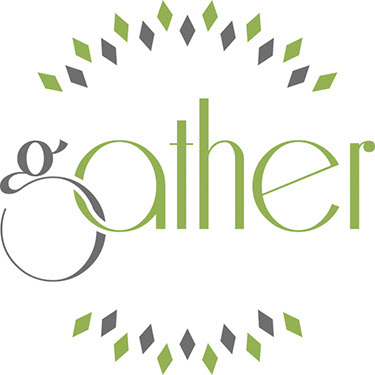 Gather is looking for a diverse selection of quality work in a variety of mediums. We value both innovative and classic uses of materials and we look for excellent craftsmanship. We want to represent a broad range of aesthetics and price options. Currently, Gather is only accepting applications from artists who live and work in Minnesota and Wisconsin. Deadline for consideration is May 1, 2015. Read more about the project and this call for work here, or at the call for work on MNArtists.